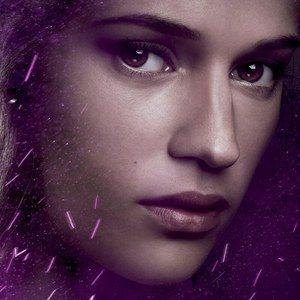 Alicia Vikander tries to give witches a good name as Alice in the latest Comic-Con 2013 poster for Seventh Son, following the Kit Harington poster that debuted yesterday. The story centers on Master Gregory (Jeff Bridges), who must train his apprentice (Ben Barnes) to defeat an evil witch named Mother Malkin (Julianne Moore). Director Sergey Bodrov's fantasy adventure will be showcased during Warner Bros. and Legendary Pictures' Hall H panel on Saturday, July 20 at 10:45 AM. Stay tuned for more one-sheets as we near closer to the big event in San Diego. "'We're not all evil, you know.' The bewitching #AliciaVikander in #SeventhSon. @Legendary pic.twitter.com/gKhbgyaNow"